Hello and welcome to our new Seatruck Ferries website! If you’re familiar with the old website, then we hope you find the new one even easier for you to book with and stay up to date with all our sailings. 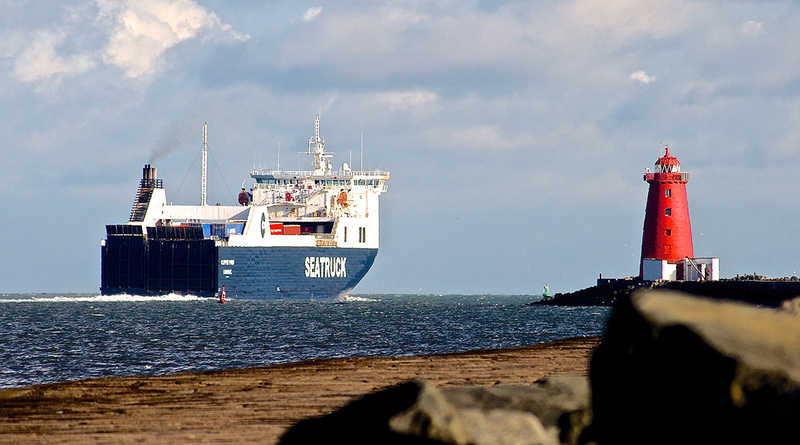 To any new visitors you may not be aware, but for a few years now Seatruck Ferries have been offering space for passengers to travel on all our freight routes. Due to these ships being freight vessels and limited to a total of 12 people per sailing, spaces are subject to availability and bookings are limited to a maximum of 2 people per vehicle. However, we have regular, guaranteed allocations for passengers travelling in either cars or motorhomes to ship on our morning departures between Heysham <> Dublin, Heysham <> Warrenpoint, and Liverpool <> Dublin. Cabin Berths and meals are also included in the price. Now, we should mention that if you are a solo traveler there is a very slight chance that you may end up sharing with another passenger. This is down to cabin restrictions. Where possible, our staff will always do their best to see that you have a cabin to yourself. If you do happen to end up sharing, there is a dividing curtain in the centre of the cabin so rest assured that you will have privacy. All cabins have their own toilet and shower en suite. - Children under the age of 12. - Any vehicles towing caravans/trailers. We are also unable to ship motorcycles and bicycles, or passengers travelling on foot without a vehicle. If you wish to make a booking you can do so online, or if you have any questions then please dont hesitate to contact a member of our team here.